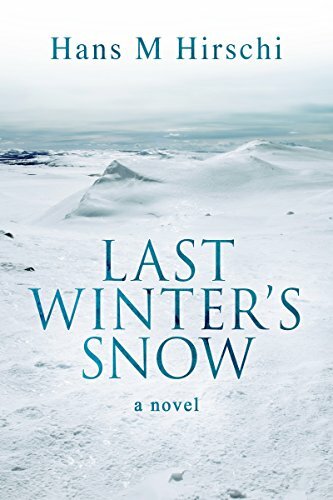 Wendy reviews Last Winter’s Snow by Hans Hirschi. Published by Beaten Track Publishing, release date April 6, 2017, 216 pages. This is the story of Nilas and how he navigates life, trying to reconcile being gay as well as being Sami. Set over several decades, we follow Nilas and his Swedish husband Casper, as they build a life amid the shallows of bigotry, discrimination, and the onset of the AIDS crisis. Last Winter’s Snow portrays recent LGBT history from a Swedish perspective, from the days when being gay was considered a “mental disorder” to today’s modern anti-discrimination legislation and the move toward equality. It’s also the story of one couple and the ups and downs of everyday life in the face of changing rules and attitudes toward them and their relationship. Last, not least, it’s a book that celebrates the rich history and culture of the Sami and their land, Sápmi, as well as their ongoing struggle to achieve recognition and win back the right to self-determination over lands they’ve lived on for thousands of years. I was given an ARC copy of this book by the author in exchange for an honest review. Why I read this book: I have almost all of this authors works, but this is the first that I’ve read. I watched Hans as he progressed from the concept to the publication and found myself intrigued by 1.) the amount of research that went into this book and 2.) the passion that Hans Hirschi seemed to have for the subject matter. I’m very, very glad that I chose this as my first Hans Hirschi book. It certainly won’t be my last. I’m not quite sure where to begin with this review. This book touched me like only a few have – or ever will – and I really want to try and do it justice with this review, because it deserves it! That said… grab your tissues kids. That’s my first recommendation. The next is maybe some chocolate and a nice glass (or bottle) of wine and a quiet spot to really let yourself become immersed in this story. I would have to say right off the bat that this is not an MM romance. It is, however, a very powerful love story. The kind of love that we all really, truly want to end up with (or if we’re lucky, start with). These two men, Nilas and Casper have this amazing, beautiful love and it is portrayed throughout the entire story. It never wavers or falters, despite the chaos of the world around them, they are STEADFAST. I love, love, love these characters. They are VERY human and just really good people. I wish there were more people like these two men in the world, it would be a much nicer place. Annnnd…now that I went ahead and said that it was a love story, I’m going to tell you that it really is just the tip of the iceberg in this book. It also is a history of two lives and what was going on socially and economically and how they dealt with some difficult situations. How they held on to each other through the AIDS crisis of the 80’s and early 90’s, how there was no recourse for discrimination of their sexual orientation, how they learned to live with and adapt to each others cultures. How even when you live with the disappointment of (and even thrive once you’ve been abandoned by) your family, it never really leaves you and you always will want to somehow reconnect and be accepted by them. This story covers DECADES of a marriage, even if they were only able to call it that legally for a portion of their time together, it was still a marriage in every sense of the word. 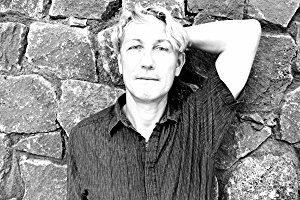 Hans Hirschi has written a brilliant book. I’ve learned so much about another country and another culture and another time with this story. I love it when writers combine fact with their fiction. Thank you Hans Hirschi so much for sharing Nilas and Casper’s journey with us. I hope that everyone who reads this review will also read this book. It is truly very well written.